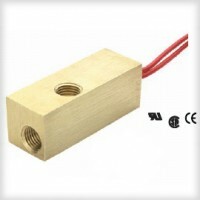 Measuring only 1″ x 2-3/4″ (25 mm-70 mm), this compact flow switch is ideal for use where space is at a premium. Designed for use with water and oil, these switches are suitable for high volume OEM applications. They are ideal for coolant or lubricant flow monitoring in portable equipment and many other applications with space constraints.